Snapshot from Posterheroes 4 promotional video: "Posterheroes4: Towards Systemic Food"
Segment of the official poster for ADC's 93rd Annual Awards of Art + Craft in Advertising and Design. Art Directors Club has recently opened the Call for Entries for its 93rd Annual Awards of Art + Craft in Advertising and Design and looking for the most beautiful work in existence in the areas of design, photography, illustration, motion, advertising and interactive. 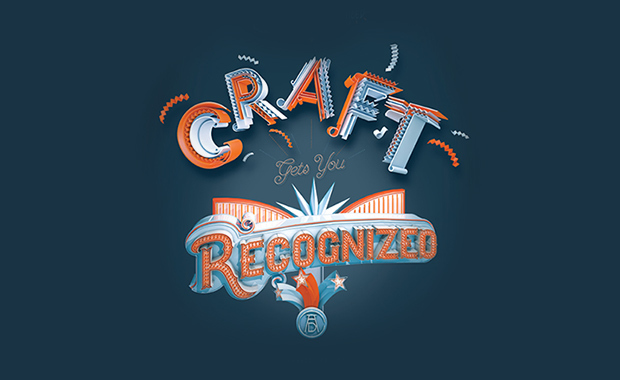 For the first advertising award show in the world, nothing matters more than craft. Professional and Student work is eligible for submission. All professional entries must have been printed, published, aired, or broadcast live online for the first time between 5 February 2013 and 7 February 2014, in any country. Entries may be submitted by any company or individual involved in the creation or production of the work. Students currently enrolled in undergraduate, graduate, and continuing education programs in advertising, graphic design, photography, illustration, and digital media are eligible to enter the competition, and are invited to submit published or unpublished work in any category, except Integrated. Student work will be judged separately but by the same criteria and juries as professional work. Entry fees vary depending on the competition category and the type of entry. Professional entry fees submitted before 31 December 2013 get a 10% Early Bird Discount.